If you own a single DVD or have a DVD collection in 2019, then you need to know how to copy and digitalize DVD. This process is essential if you want to save, backup or store whatever is inside those DVDs that might be precious to you. To copy and digitalize your DVD means that your DVD content is free from damage, scratch and you can never lose them again because they are now digital. You can view your DVD files on your Mac, PC even your smartphones and you can also go a step further and upload to a cloud service to add an extra layer of backup and security. When you copy and digitalize DVDs, there are benefits you instantly get like watching your DVD videos or pictures on the go with your smartphone, protecting your DVD collection from damage, scratch and data loss and when you use one of the best DVD Ripper for MAC which is MacX DVD Ripper Pro. With MacX DVD Ripper Pro for Mac, you can backup, rip and digitalize DVDs to your Mac, PC, Android or iOS device (iPhone, iPad, and iPod). The DVD backup process is done in 5 minutes depending on your computer specifications, and the quality remains at 100%. Why is MacX DVD Ripper the best DVD Ripper for Mac? MacX DVD Ripper Pro is the most powerful tool that supports all knotty DVDs, including recently released DVD movies, Japanese DVDs, homemade DVDs, 99-title DVDs, TV series DVDs, workout DVDs, and other damaged or unplayable DVDs. 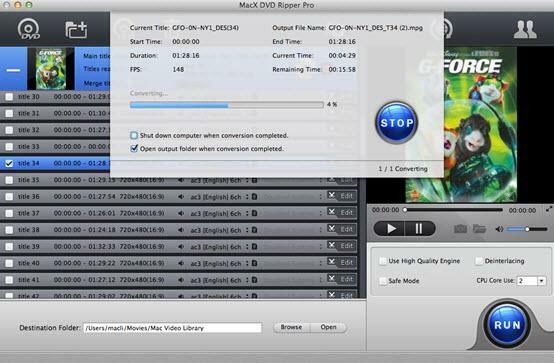 MacX DVD Ripper Pro is the world’s first DVD ripper that indeed applies Level-3 GPU hardware acceleration technology. 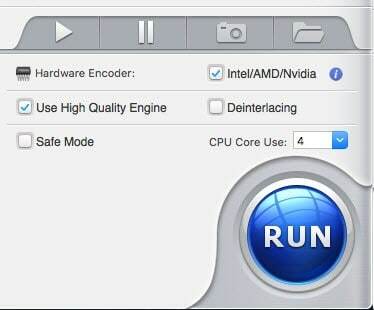 It extends HW to video decoding, processing, and encoding, making DVD ripping 5X faster than others. While traditional rippers take more than 1.5hr to extract content from DVD, MacX DVD Ripper Pro needs only 5 minutes to rip a 2-hour DVD with a maximum speed up to 320 FPS. The built-in “High-Quality Engine” and “Advanced Deinterlacing Accelerator” can make sure the output quality keeping the same as the original. With 180+ video formats and 14 audio formats, breezily digitize DVD to MP4, MKV, HEVC, H.264, MOV, M4V, QT, AVI, MPEG, FLV, M4V, MTS, M2TS, ISO image, MP3, AAC, AC3, etc. 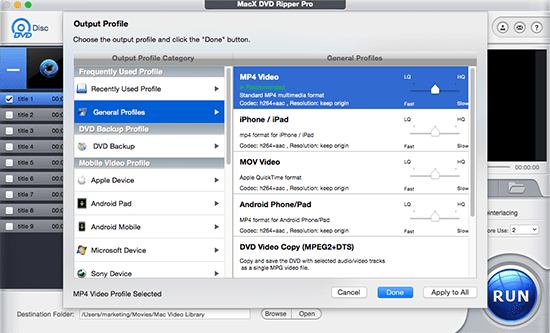 With 350+ preset profiles, MacX DVD Ripper Pro makes it easy to convert DVD to almost all multimedia devices, covering all models of iPhone (iPhone XS/XS Max included) and iPad, iPod, Apple TV; Android smartphones and tablets from Samsung, HTC, Huawei, Google Mobile, Microsoft, Sony and other companies. Trim video clips/segments from DVD, crop frame size, merge separate movie titles into one, add external subtitle to the movie. Adjust video parameters like video codec, video bitrate, frame rate, resolution, etc. for advanced users. Slow DVD ripping and lag which slows down your computer. Can’t rip this DVD error. Damaged DVDs error message while ripping DVD. No audio, mixed audio or out of sync audio and video after DVD conversion. You can get a No Valid Source Found error message. The DVD Ripper for Mac can randomly crash or stop working while ripping DVD. The free DVD ripper Mac software only rips the first few seconds of your DVD and says completed. The software can’t find the correct video title or audio playlist. Remove all DVD encryption techniques, like CSS, region code, RCE, Sony ARccOS, Disney Fake, etc., which can solve the errors caused by strong DVD protections. For complete DVD ripping, choose ‘copy DVD to ISO image’ mode to make a 1:1 copy of DVD, including the video, audio, subtitles and other data. Support HW acceleration, along with multi-core CPU processing tech, makes maximum use of CPU & GPU and finish the ripping process in the shortest time. For DVDs with bad sector or damage, cut the damaged part with the trimming feature and then continue ripping. It has the best stability and compatibility, no crashes/freezes. Learn how to copy and digitalize DVD on Mac with the fastest DVD ripping speed and without quality loss using MacX DVD Ripper Pro in these five easy steps below. Pro Tip: Before you start DVD backup or conversion, make sure to tick the “Use High-Quality Engine” box. This will guarantee the highest DVD quality possible. Tip: Get up to 70% off in their winter sales when you purchase a MacX DVD Ripper Pro license. DVD output formats like MP4, H.264, AVI, MOV, M4V, MPEG, FLV, MP3, and the new H.265/HEVC codec format. Click “Browse” button to choose the location to your converted DVD content will be saved. Click on the “RUN” to start the process, and with level 3 hardware acceleration technology, you would only need to wait for less than 10 minutes. Let’s briefly mention the other features you might use in MacX DVD Ripper Pro. Adjust video parameters and many more. Complete a 1-minute survey or submit a working email address to get a free licensed copy of MacX DVD Ripper Pro. Every participant’s entry gets a chance to win iPad Pro, a Netflix gift card and more prizes by sharing the campaign on Facebook. MacX DVD Ripper Pro remains one of the best DVD Ripper for Mac and with this giveaway campaign, you can get a free license for your computer by just completing a 60 seconds survey and also an added chance of winning a free iPad Pro or Netflix gift card which you can use to stream all your favorite Netflix movies and TV shows. Act fast the offer closes on February 20th, 2019.